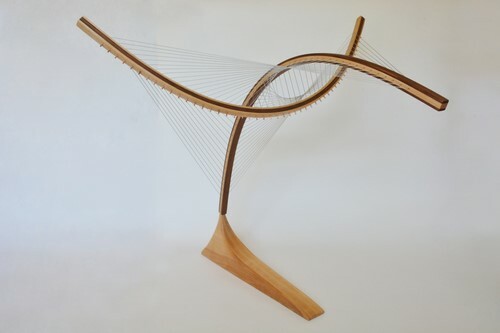 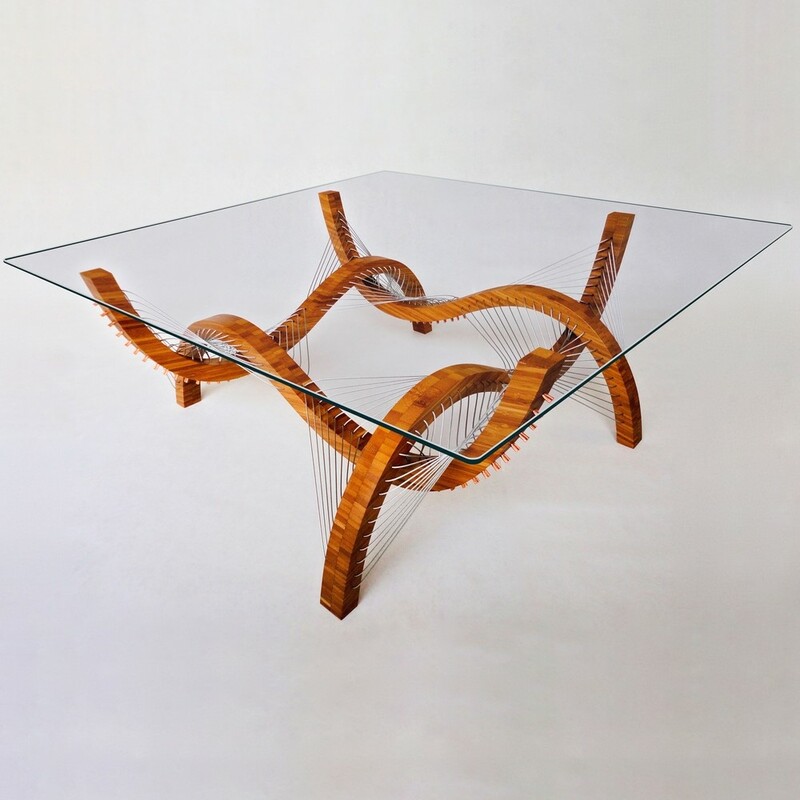 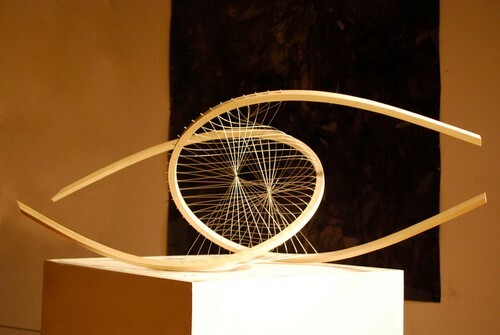 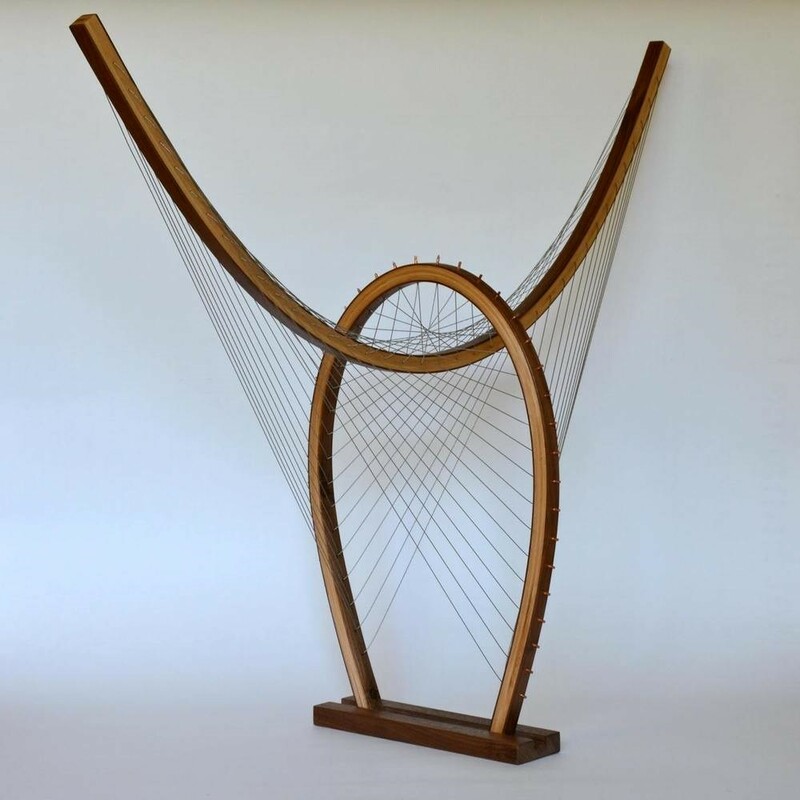 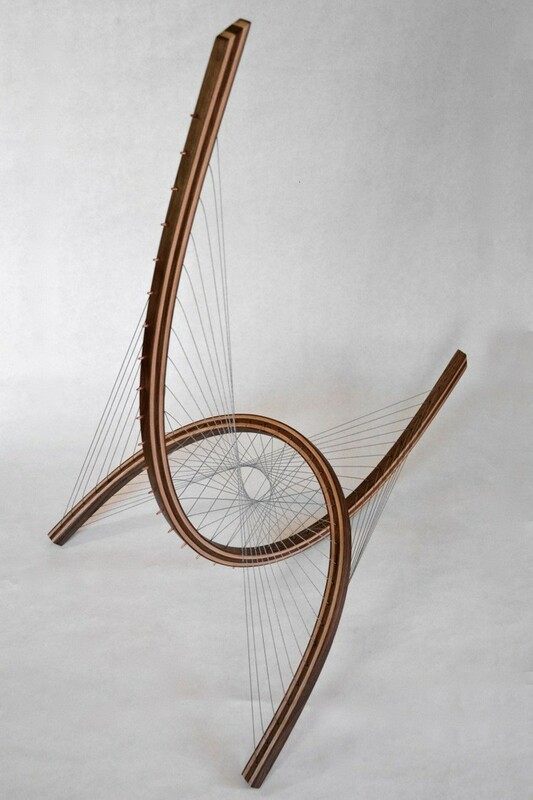 Read here about Robby Cuthbert, a furniture designer who often produces tension-based and tensegrity-related creations. 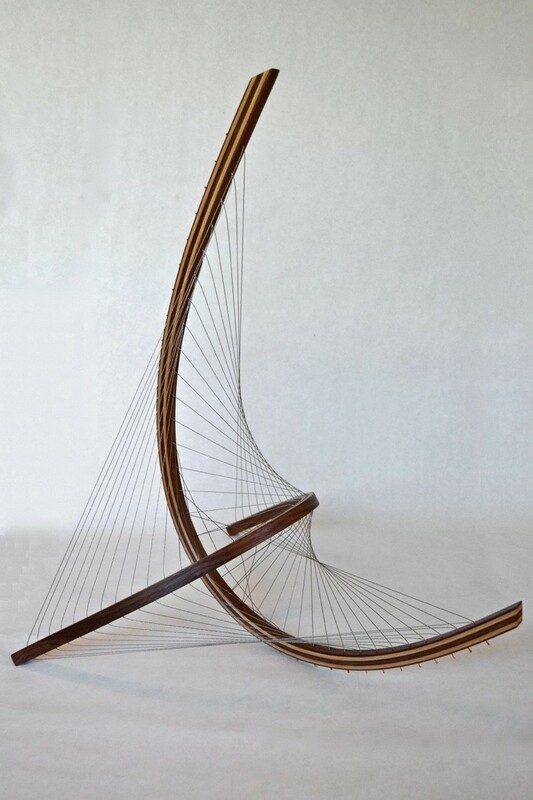 Robby Cuthbert is an artist and designer based out of Fort Collins, Colorado. 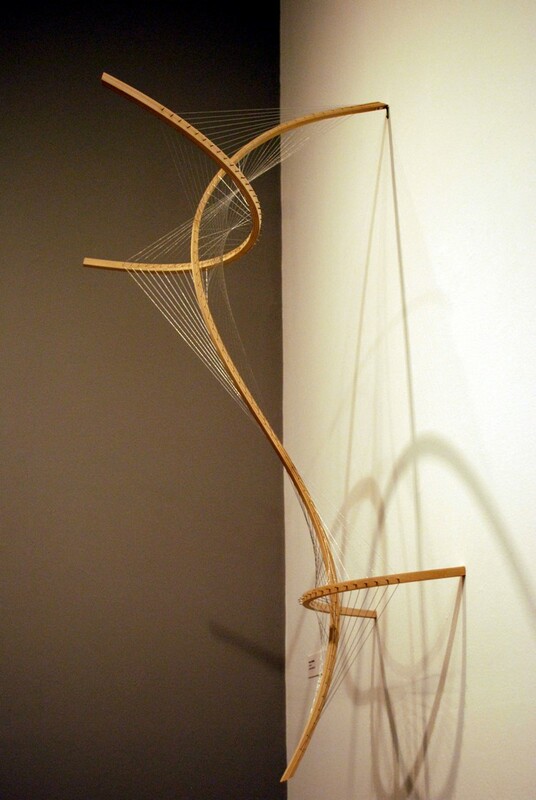 He studied sculpture and architecture at Williams College. 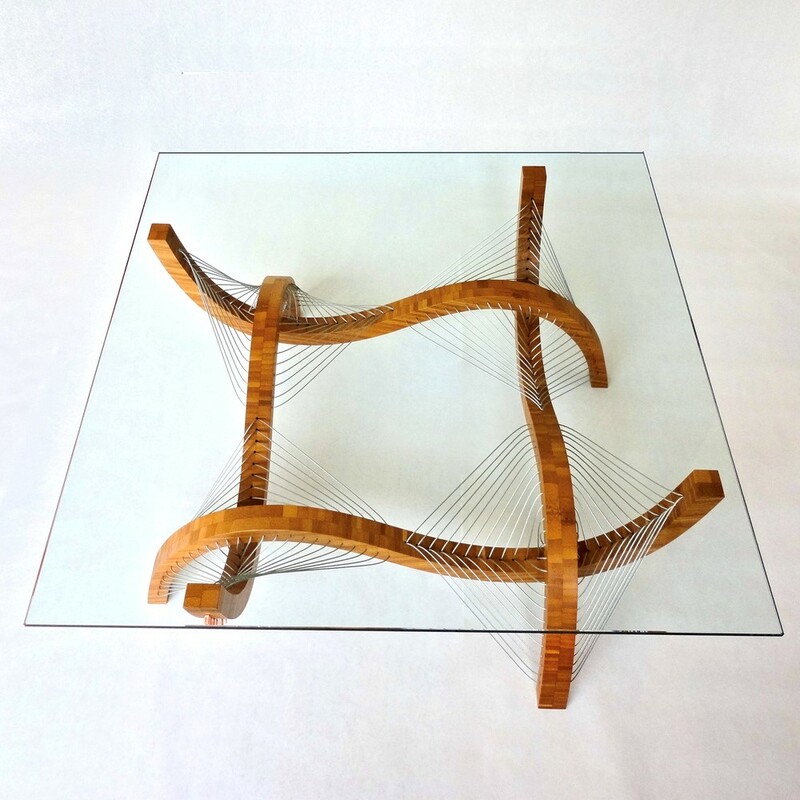 From about 2014 onward Cuthbert began creating furniture pieces structured by mutual tension. 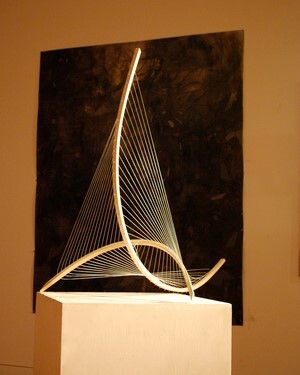 The tendons are anchored along the length of opposing struts. 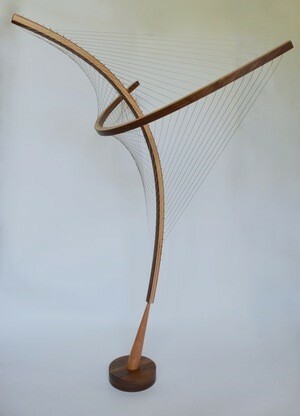 Below is a selection of Cuthbert's creations.